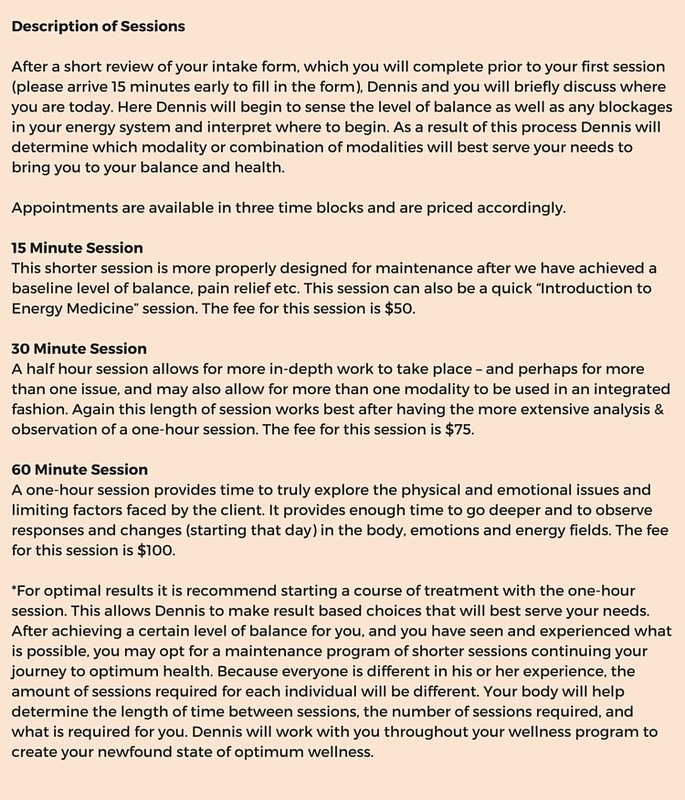 Dennis specializes in "whole body" health. Are you having difficulty with anxiety and/or depression? Do you have sports injuries or other injures/pain you want to address? Dennis assists clients with both simple and complicated health needs/issues that are of a physical and emotional nature. Emotional Conditions - depression, stress, being overwhelmed, etc. Click the links below for each therapy.